Search engine optimization process includes various tools to evaluate the performance of a website. Google webmaster tool is a free cost service offered by Google to keep an eye on the website performance and search results. It’s essential for you to must have a complete knowledge of this innovative tool to accurately measure your website’s SEO score. Google webmaster tool also guide users to figure out any errors regarding the crawling and indexing of website content/pages. Google webmaster tool is the key process from Google to connect with webmasters and make them know about the major website’s problems. This guide will help you know how you will be able to set up a new account to watch your site performance, and what the major top benefits you can avail from google webmaster tool. Before starting to get required useful information about your website, it’s important that you own an account. Only authorize website owners can have an account of Google webmaster panel. Here I will discuss three most effective and useful methods to set up a free account for this tool. Check these out below. This process of account creation based on the uploading of an HTML file to the root directory of the website you own. Google gives you this file, and it is blank. The purpose is to prove that you still have the access to the website’s FTP server. When you put this file to the root directory just clicks on the “verification” button and you will eventually enable your account. This verification process involves the addition of Meta tags provided by Google to you and then adding it to the header of your website’s homepage. After when you passed the tag into the relevant section, click on the verification button in webmaster panel to get more insights about your website. If you already own a Google Analytics account, then you can easily login into webmaster panel by using “asynchronous tracking code” that is mostly placed at the header of your homepage. It’s relatively an easy method to have an account in Google webmaster panel. 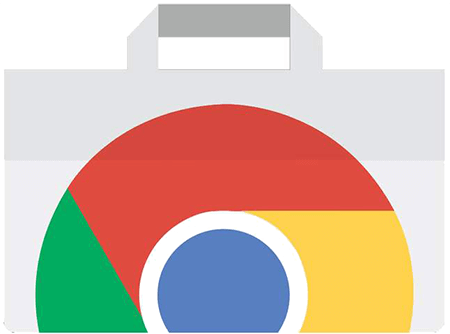 Google search console is a free of cost, well-organized service provided by Google to Webmasters to make it sure that they monitor and sustain their site’s presence in search results. If you have signed up for the google webmaster account, then you can easily enjoy the services of search console. Following are the top benefits of this feature. It helps webmasters to make sure that their content is easily accessed by Google. With it, you can add/submit new content to Google. It perfectly works as a Google Index Tool. Through console feature, you can ask Google to remove any content that you don’t want to show in search results. Allow users to maintain their site for maximum search performance. With it, you can evaluate how your site is performing on the various available devices. As a site administrator, Google console enable the healthy operations of your site by removing any major malware issues. Malware are very difficult to find out through any other means, Google webmaster makes it so easy and helpful for its users to identify any major problems. When Google identifies any problem with your site it sends various messages to webmasters by intimating them about the certain changes occur that will affect the position of the site in search results. There might be messages that will inform you about the infected malware. Not all the messages are bad news. There might be some messages which will congratulate you and intimate you about the improvement or increase in the searches relevant to your website. Webmaster tool is really helpful in finding out the actual level of indexing status of your website. It provides the actual figure of how many pages/content you have submitted to Google in recent times, and how much is already indexed. This tool also works as an index checker because it shows the URL trends either these are blocked by Google bots or due to any mishap in backend( server issues). These non-indexing items become an error, and Google webmaster tool further helps to remove these. You can know more about it in below sections. After every 90 days, Google detects your site and evaluate any kind of errors affecting your site performance. Google Webmaster is a valuable tool because it helps every SEO manager to find out verity of errors in the shape of graph and error type. You must have to keep an eye on this section on regular basis to find it out that either your website is facing any problem that must be removed instantly. There are two major types of errors you will see on Google Webmaster Panel. Error 404 - An error message showed up by the webmaster tool indicating that an Internet address cannot be found. Server Errors –A 504 error that represents the gateway timeout or intimating that proxy server is not receiving the message. Submitting a URL to Google that was previously identified as an error is a great value option for the webmasters to resubmit their URLs. You are allowed to perform around 500 fetches per week. Here in this tool you also have an access to the sitemap of your website. You can make certain changes in the sitemap of your website by easily editing it. You can also clearly identify any issue within the sitemap to overcome any major issue that can affect the traffic of your website in future.